India’s leading life insurer, Max Life Insurance Ltd. has announced its appointment of Aalok Bhan as Director & Chief Marketing Officer. Aalok will be responsible for overseeing Max Life’s product, branding and corporate communication operations with the objective of strengthening customer-oriented product design strategies, brand positioning and marketing endeavours. “Leveraging his long-standing expertise of over two decades in the financial services and banking space, we are pleased to have Aalok take on the new role at Max Life Insurance. He has a clear vision for the future of insurance marketing and communication and the ability to build strategic teams to execute on that vision. I am positively thrilled to accept the new role and look forward to advancing the development and execution of our company strategies with greater dynamism going forward. His appointment underscores our commitment towards scaling up from within and makes the company well positioned in a cluttered marketplace. We look forward to sustaining our strong working relationship”, says Prashant Tripathy, Managing Director & CEO, Max Life Insurance. “The industry is realizing the need to establish a deeper connect with new-age consumers, rendering more opportunities to be creative in our branding and communication strategies. I am positively thrilled to accept the new role and look forward to advancing the development and execution of our company strategies with greater dynamism going forward. 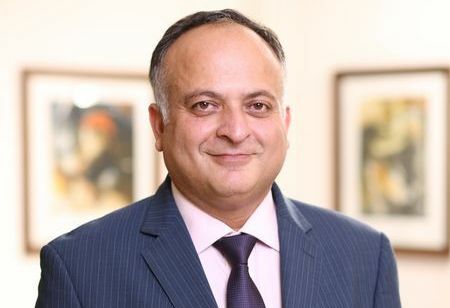 As I continue my association with Max Life Insurance, I only wish to express gratitude for the immense faith that has been exuded in my capabilities by the management”, says Aalok Bhan, Director & Chief Marketing Officer, Max Life Insurance.